Reach the Spanish Steps from Рим Отель Stendhal is extremely simple: come out from the hotel go to the nearby Piazza Barberini, remaining on the side of the Hotel. At the corner turn left on Via Sistina and continue uphill to the Spanish Steps, which is a few hundred meters. Along the way you will meet even the famous "Teatro Sistina" where various performances of contemporary theater are staged. 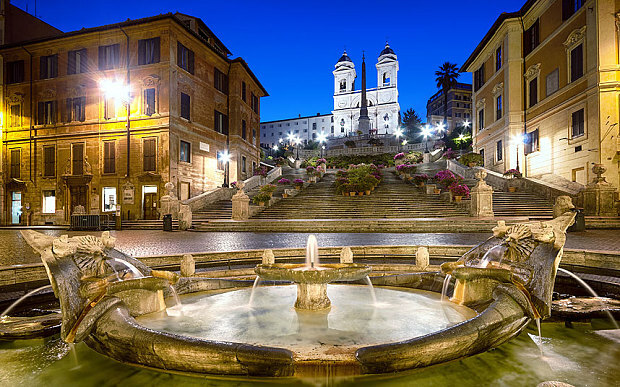 Arrived at the Spanish Steps you can admire the Roman landscape from above, and dropped the famous steps of the same name, you will be in Piazza di Spagna. 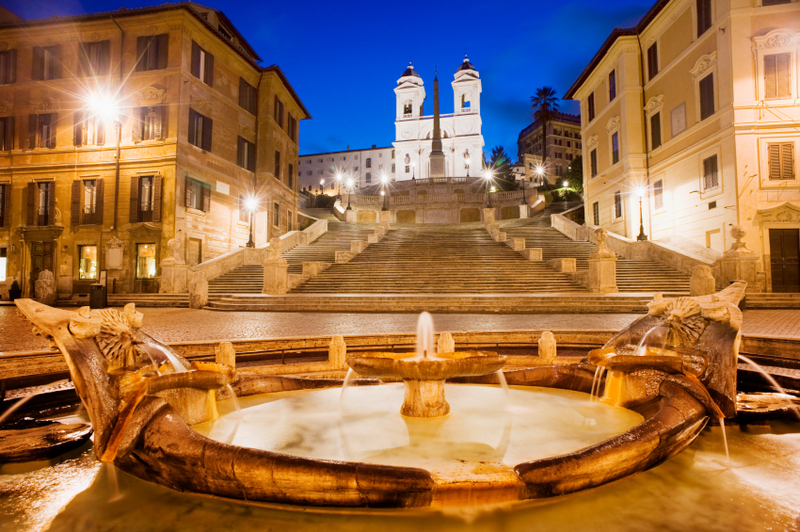 The Spanish Steps and Piazza di Spagna were once literally Spanish belonging to the area around the Spanish ambassador's residence, located in the western end of the hourglass-shaped piazza since 1622. This characteristic feature of eighteenth-century town-planning in Rome projected by Francesco De Sanctis, offers an extraordinary background effect to many of the beautiful monuments and buildings found near them such as the majestic sixteenth-century façade of the Trinità dei Monti or the famous Fontana della Baraccia. Designed by Pietro Bernini these steps form one of the city's most singular monumental and urban complexes. The 137 steps were constructed from 1723 to 1725 to link the Piazza di Spagna and led to important locales above it, including the Pincio and the Villa Medici. Hotel near Spanish Steps When the steps first opened, Romans hoping to earn extra scudi (a form of money) as artists' models flocked to the steps dressed as the Madonna and Julius Caesar. This tradition still holds today with modern artists immersed in the midst of tourists. The beginning of May heralds the world-famous flower show, when the steps are covered with azaleas and photographers, and each July an evening fashion show is held on the steps. A genuine monumental grandeur and true Roman landmark.